The challenges facing law enforcement and security today means more training, and more efficient ways to deliver that training. As VR and AR continue to evolve, more solutions are being explored and implemented to immerse personnel in reality-based scenarios that’s affordable and scalable. Some of the most difficult decisions a law enforcement officer may face, occur in high-pressure situations where officers are forced to make quick decisions. Trying to train for these types of situations can be complex, and the men and women who are sworn to serve and protect our communities deserve the best training, education, and resources available. Enter virtual and augmented reality technology. With advances in these immersive technologies, it was made possible for police officers and security officers to more effectively train in these real-life situations. This helps to not only fine tune their split-second decision-making capabilities under pressure, adrenaline, and anxiety, but also to de-escalate situations. This helps teach officers to handle situations in different ways so that there are more positive outcomes. Most commonly used platforms for training were live simulations that required safe weapons and role players to act out a variety of scenarios. Though this way is better than the outdated classroom education, it also made officers feel that the training wasn’t realistic enough. Additionally, large-scale gatherings of these simulations have high costs and logistical challenges that come with it. With on-the-ground training that requires precise planning and execution, these simulations cannot occur very frequently. Training then evolved into video scenarios, called FATS training from Meggitt Training Systems, that started in the mid 1980s. It used a big projector screen that officers would interact with for a variety of firearms training. These systems were extremely expensive, especially for different models of simulator systems, and weren’t very engaging or accurate, since the video didn’t respond appropriately to commands that were given. VR and AR companies are consistently improving upon these training solutions. They are needing to be designed to be not only cost-effective, but also scalable. NSENA VR is a subscription-based simulation training platform that uses the HTC Vive with a combination of proprietary hardware and content for police officers, as well as, correctional officers. NSENA VR offers a variety of immersive scenarios including active shooters, active bombers, report taking, traffic stops, domestic calls, and more. Combining motion capture technology with content created from real police encounters using body camera footage and input from real officers, Street Smarts VR only requires an area of 10×10 ft to train in. Their immersive training scenarios also simulate a variety of real-life stresses and challenges in law enforcement. GOVRED offers solutions that allow officers to move freely within a virtual environment and to test their best use of force options. Other skills are also tested in scenarios of crisis intervention, de-escalation, active shooters, and firearms training. On a slightly different path to an immersive training solution, D.I.R.T (Digital Immersion Response Training), provides virtual reality simulations in which the officer plays the role of an observer. DIRT offers scenarios on relevant topics such as school shootings to terrorism prevention and response. The officer can take in the environment in its full 360º video view and search around the scene. They then review their findings with a subject matter expert afterwards. 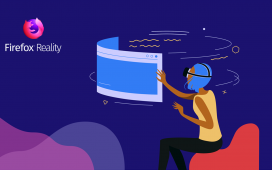 Also leveraging 360º video, is 360immersive, who decided to go the mobile VR route, and allow a user to simply download their application to a mobile device and view their pre-made content. Because these training simulations can be distributed via mobile devices, and requires only an inexpensive headset display, costs remain low. Using Microsoft HoloLens and software from UK-based software company Black Marble, police in the UK are already mapping entire crime scenes with AR. Currently, police rely on photographs, and sometimes short videos, taken of crime scenes, which can easily be misinterpreted. 3D rooms that are created by HoloLens, allow officers to step into a room virtually and see a crime scene as it was when they first arrived. This also eliminates any crime scene contamination. For airborne law enforcement, Churchill Navigation provides AR overlays in combination with 3D satellites and synthetic imagery to show data such as street names, intersections, direction of travel, speed, and more all on one screen during any type of pursuit. Even police and public security in China are testing facial-recognition AR glasses. Designed by LLVision Technology, their plan to enhance surveillance will allow officers to match faces in a database of 10,000 suspects in as little as 100 milliseconds. VR and AR can bring about a vast amount of knowledge and information both in training and out in the field. The possibilities that are provided currently, and in development, will provide law enforcement and security personnel an edge that they never had before. 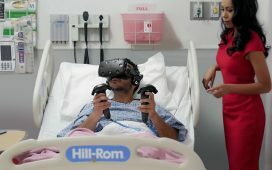 Ultimately, the power of VR and AR can help save lives.